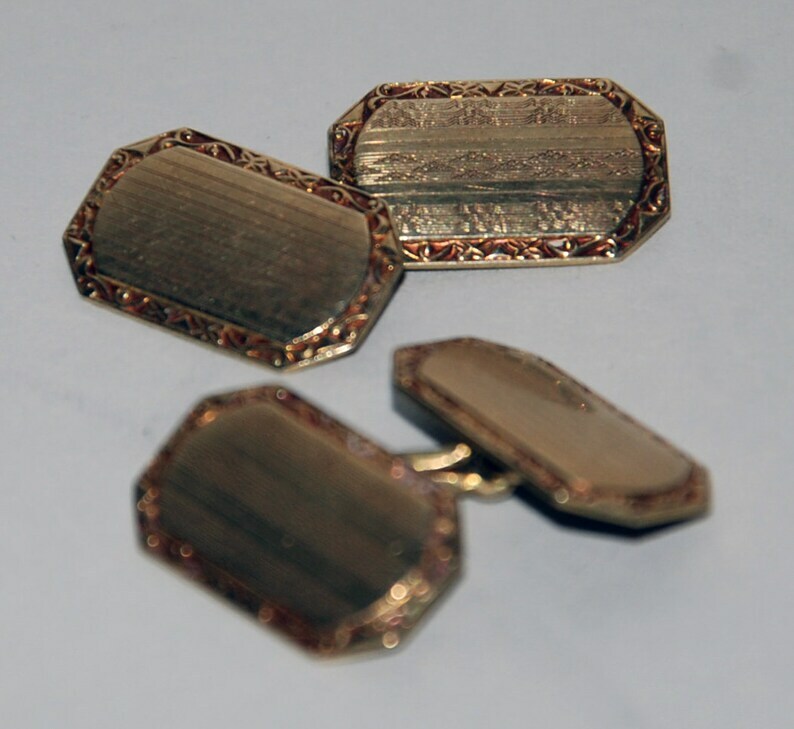 This is a pair of double faced cufflinks in very good condition but a bit unusual: the faces are similar but not the same. The border patterns are the same but the face patterns are different, with one being a little more ornate than the other. They are signed L.B. Co. possibly Leif Bros.
All sales are final, please be sure when you buy; please view all pics for size and detail, they constitute part of the description. 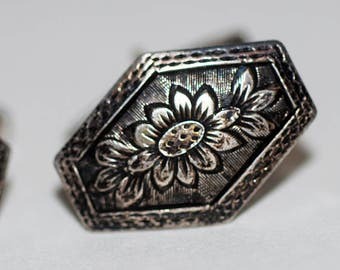 1950s era 800 Silver Floral Motif Cuff Links -- Free US Shipping!